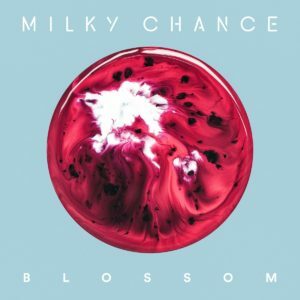 Right in time for spring break, Milky Chance’s second studio album Blossom dropped on March 17, worldwide. If you were looking for an album to sunbathe to on the beach or to simply escape the constant familial interactions, then this album will definitely sooth your nerves and help you relax this short holiday. Milky Chance’s first album Sadnecessary found its way into many people’s Spotify about a year and a half ago when they would turn on an Alt-J radio mix or other playlists with artists defying genre norms. This German group is often categorized as folk, reggae, and even electronica. Maybe we could just combine all of these genres together into one word? Electrofolkgae? Regfolktronica? Or maybe not. In case you haven’t listened to Sadnecessary, their most popular singles from this album are “Stolen Dance” and “Down by the River.” These songs are great glimpses into what the rest of the album is like. As for Blossom, it truly is a stellar sophomore album. Although slightly lighter in mood than the first album, it isn’t a detour that would leave listeners disappointed. The first song, “Blossom,” is very islandy and works very well as the introduction of the album. I loved “Ego” and “Firebird.” “Ego” has a pre-chorus that will most definitely get stuck in your head while “Firebird” will give you a subtle flashback to the early 2000’s. “Doing Good” is a dance worthy tune that you can sing back to your ex and then turn your back confidently and continue walking downtown. “Clouds” will make you smirk. As if the title didn’t give it away, “Cold Blue Rain” is a song to listen to on a slow, rainy Sunday. This is also a song that I imagine to be in the back of a scene of someone smoking a cigarette in their kitchen and sipping at orange juice from a mug. And woah, is that a harmonica being played? “Stay” has the most similar chord progression to the songs on the first album of Milky Chance. I really loved this one for its more authentic emotional presentation. “Bad Things (ft. Izzy Bizu)” is sure to be released as a single. Trust me when I say this is a song you want to have stuck in your head! “Cocoon” is an already released single from the album. I was a bit surprised when this song was chosen as a single. It is a great song, but not one of the better songs on the album, in my opinion. “Losing You” works very well as a transition song. You might feel a little melancholy when listening to this one, but I believe that is the point. “Peripeteia” isn’t exactly the best. “Alive” has a very seductive beginning and is pretty enjoyable to listen to. “Piano Song” was actually the first piano song they’ve ever made. I really really like this, and hopefully you will too. It makes you feel like everything is going to be okay, in a way. And lastly there is “Heartless.” With the very interesting instrumentals in this one, it works as a final reminder of the world in which you have escaped into while listening to this album. Overall, this album is just absolutely fantastic and I highly recommend you check it out.